​Nov 21-23rd, 2016: Teachers, directors and coordinators of UNESCO partner schools in 12 countries attended a training session to become coaches with the intention of training others in each of their countries. Trained teachers will help their local Ministry of Education achieve results in the continuing push to integrate climate change themes and projects within the official curricula of each country. Topics such as: Teacher training, creating a sustainable school, budgeting and dealing with waste and the evaluation of the particular needs of each school in order to prepare an action plan for work teams were discussed. The meeting was held in Dakar, Senegal at the UNESCO Building. 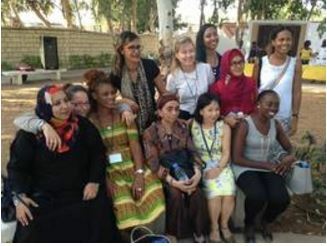 Teachers and coordinators from Greece, Brazil, Namibia, Japan, Oman, Denmark, Lebanon, Germany, Indonesia, France, Senegal and the Dominican Republic attended.